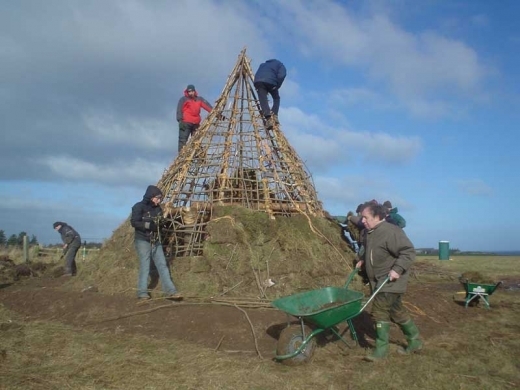 This UCD School of Archaeology project aims to build a Mesolithic (middle stone age) house in the Centre for Experimental Archaeology. Basing the experiment closely on archaeological data, they will use stone age technologies and materials in an attempt to learn something of the real conditions within which these remarkable structures were built. A series of discoveries over recent years have transformed the twentieth century database of Mesolithic structures in the British Isles and Ireland. There’s an emerging picture that the first “architecture” was more complex, more frequent and more enduring than the hitherto scant records of stakehole arcs, ‘windbreaks’ and tent weights¹. So, for example, Howick in Northumberland (NE England), and perhaps new discoveries on the Firth of Forth (Scotland) and Merseyside (NW England), suggest occupation over more than a hundred years, whether intermittently or permanently, in sub-circular structures around 6m in diameter with internal hearths and lithic (and sometimes organic) evidence for many activities. In Ireland, Mount Sandel (Londonderry) is a well-known excavation by Peter Woodman in the 1970s² and uncovered substantial structural remains. Similarly Howick, excavated by Clive Waddington³, provided evidence for occupation over multiple generations with periodic rebuilding events. Recent discoveries at East Barns in East Lothian³ and Echline (Scotland) suggests the genesis of semi-permanent or permanent structures very early in the Late Mesolithic (8000 BC)*, perhaps coinciding with the increasing inundation of the North Sea up to about 6400 BC, a palpable event between generations that finally separated Britain from mainland Europe and rendered a considerable, productive landmass uninhabitable—Doggerland. Combinations of isostatic land rise/fall and seal level changes have also altered the British west coast topography significantly**. Is there an association between displaced or maritime communities and the advent of the house? Or is it that most evidence (and tentative aggregation sites) are now under the sea? * My feeling is that the early Mesolithic “structure” at Star Carr needs more scrutiny (2-3m diam. 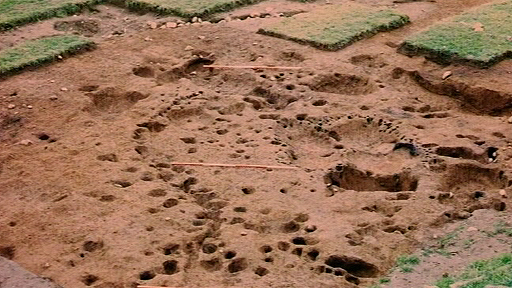 hollow with associated postholes extending it to 4m non-linearly) and more evidence from the environs to substantiate a “dwelling” or purposeful structure. Ref ANTIQUITY 86(334) Conneller et al. pp 1004-1020. ** England is still sinking and Scotland still rising today—no political commentary intended! This exercise will be interesting to watch since there are a number of ways to interpret the archaeological evidence for post- and stake-holes, scoops, pits and hearths as well as patterning of artefactual evidence. Bigger questions remain around the significance of these structures for a hunter-gatherer ancestry thought, until now, to have been far more mobile and transient than this new evidence suggests? ¹ For example, see (a) Wickham-Jones, C.R. 2004. Structural Evidence for the Scottish Mesolithic. In A. Saville (ed.) Mesolithic Scotland and Its Neighbours (229-42). Edinburgh: Soc Ant Scot; (b) Smith. C. 1992. Late Stone Age Hunters of the British Isles. London: Routledge. ² Woodman, P.C. 1985. Excavations at Mount Sandel 1973-77. Northern Ireland Archaeol Monographs No 2. Belfast: HMSO. ³ Howick | Waddington, C. (ed.) 2007. 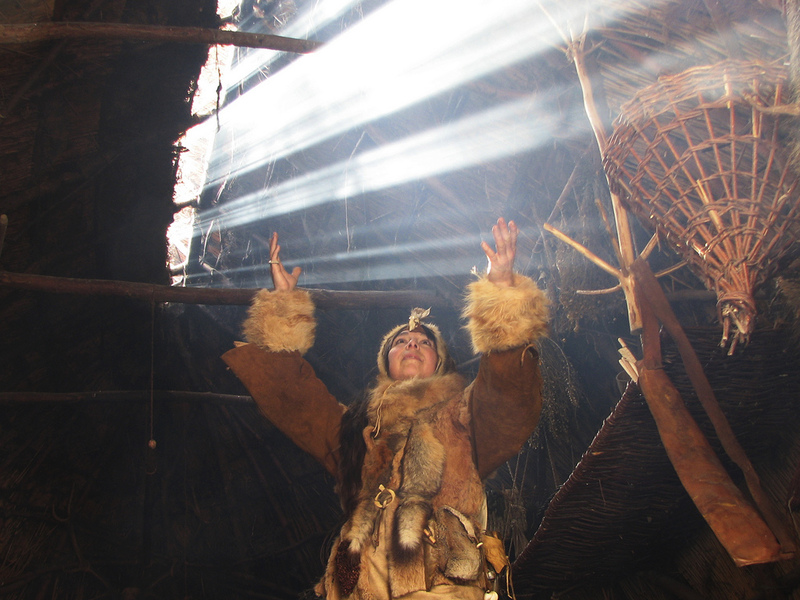 Mesolithic Settlement in the North Sea Basin: A Case Study from Howick, North-East England. Oxford: Oxbow. East Barns | Gooder, J. 2007. Excavation of a Mesolithic House at East Barns, East Lothian, Scotland: An Interim View. In C. Waddington and K. Pedersen (eds). Mesolithic Studies in the North Sea Basin and Beyond (49-59). Oxford: Oxbow. This entry was posted in British archaeology, Hunter-gatherer-fisher, Mesolithic, Microburin miscellaneous and tagged Archaeology, Later Stone Age, Mesolithic by Spencer Carter. Bookmark the permalink.